Monarchs in every stage of their life cycle can be seen during the Monarch Butterfly Festival to be held from 10 a.m. to 4 p.m. Saturday, Aug. 31 at the Audubon Center and Sanctuary, 1600 Riverside Road, one-quarter mile east of Route 62 between Jamestown, NY, and Warren, PA. The event will include a plant sale aimed at getting more milkweed, the only food of monarch caterpillars, into the community. “Despite a huge drop in the monarch population, we have caterpillars we are raising that will be ready for the festival,” said Audubon Senior Naturalist Jeff Tome. There will be monarchs in every stage of their life cycle, from the tiny egg, to caterpillar, chrysalis and beautiful butterfly. Audubon’s auditorium will be transformed into a garden of wildflowers with butterflies flying about. 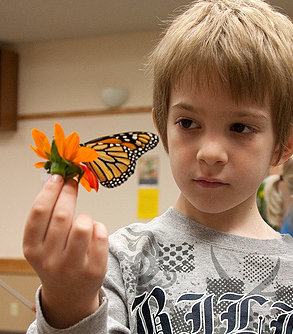 Visitors can watch experts tagging the butterflies with stickers. At 4 p.m. the butterflies will be released to fly to Mexico, where their tags will help scientists track the migration of this rapidly dwindling species. 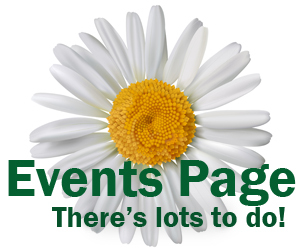 Other activities include butterfly crafts for kids, photo opportunities with human-sized cutouts of a monarch butterfly and a caterpillar and tours of Audubon’s butterfly garden. Volunteers will help children and adults use insect nets outside to catch, identify and release butterflies on Audubon’s grounds. Great food and butterfly-related items, including T-shirts, will be featured in the Nature Store. Admission is $7 for the public, $5 for Friends of the Nature Center and free for children ages two and under. The Center’s building and grounds are open daily. There is a nature store and exhibits of live fish, reptiles, amphibians and more. Outdoors there are five miles of trails, bald eagle viewing, an arboretum and gardens. This event is made possible by the dedication of volunteers, several of whom are registered with RSVP, the Retired Senior Volunteer Program. Is there an outlet in erie county (or a greenhouse)whee one can purchase milkweed plants. We have a 20’x 4′ section between fences in our yard which would be perfect for these plants. Lockwood’s Greenhouses in Hamburg carries native plants and they may carry milkweed. 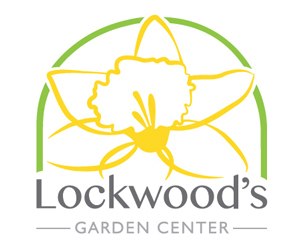 Get Lockwood’s contact information here. Also see this article on Monarch Madness at the Buffalo and Erie County Botanical Gardens. That article mentions a place in Clarence and I believe they sell milkweed. I hope that helps.